The rain held off until a couple minutes after the racing finished, making for a good—if windy!—first week of racing at the Ann Arbor Spring Training Series. Results are posted on the USA Cycling website, and next week we'll add together the series points and post those on the results page. 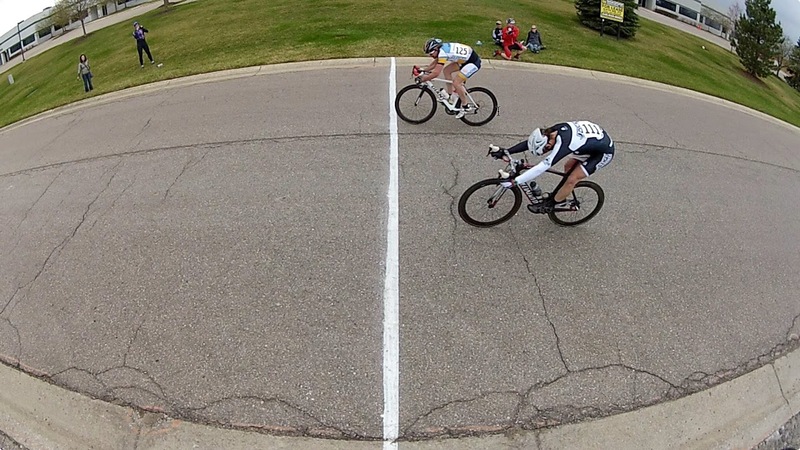 Cory Stange (OAM NOW / Athletic Mentors) taking the win over Rob Foshag (Jacks/Kinetic Training) coming from a break of 4 riders that had already lapped the field in the A race.